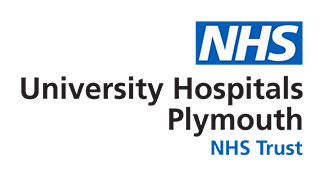 The staff at Plymouth Children’s Theatres understand that having an operation or procedure can be a stressful time for children and their families. All the staff here aim do everything they can to ensure the experience is as relaxed as possible. If you have any questions about the care of your child then please ask the staff who will do their best to answer them. Please DO NOT bring your child to hospital if they have had diarrhoea or vomiting within the last 48 hours; if they have chicken pox then please do not bring them until all the spots have crusted over. We ask that you do not take pictures or video in the Children’s Theatre Unit in order to protect the privacy of all our patients. What to tell your child? What to bring to appointments? What to do if your child is unwell on the day of their operation? Who can accompany a child to hospital? When can your child eat & drink before their operation? How best to keep your child comfortable after their operation? It is important that you explain to your child, in a way they can understand, what is going to happen to them. We know that if a child understands what is going on, they are less likely to feel worried when they have their operation. In turn, this tends to mean that they are more likely to be calm when they wake up after the procedure. The pre-op assessment nurses and Play Specialists can help you with explaining things to your child. We also have some information for children which you can download from this website and read together (see link below). The pages on this website are intended to help you to prepare your child. We suggest that children aged 2-3 years are told 2-3 days before and on the day of operation; children aged 4-7 years are told 4-7 days before and on the day of operation. Older children are usually involved in the decision making process around having an operation and so discussions with them can occur sooner. Encourage your child to ask questions about what will happen. It can be useful to bring something to occupy you and your child in case you have to wait before their procedure. You may also want to bring something to occupy you while your child is having their procedure and a small snack or favourite food for them to have when they wake up. What to do if your child is unwell on the day of their operation or test? Occasionally when a child is unwell we decide that it is safest for them to postpone their anaesthetic and procedure. This decision is always made by a senior anaesthetic doctor and surgeon. If your child is unwell in the few days before their procedure then you may wish to contact the unit on 01752 432432 and ask to speak to one of our pre-op assessment nurses for advice. It is very important that on the day of their procedure your child is accompanied by somebody who has parental responsibility for them. If there is not an adult with parental responsibility with your child then it may not be possible to proceed with their operation. It is really important that there is no food or drink in your child’s stomach before they have a general anaesthetic (go to sleep.) If there is food in the stomach it is possible for this to pass into the lungs while the child is asleep and cause serious problems such as choking or infection. If your child takes regular medicines then they should have these as usual unless we have asked you not to. Coming in at 08.00, no food after midnight. Finish feeding breast milk by 06.00, formula milk by 05.00. Clear fluids up until 08.00 (water or squash, no fizzy drinks). Please do not allow your child to eat sweets or chew chewing gum. Please let the reception staff know that you have arrived – they will check we have the correct contact details for you. Before your child’s operation you will be seen by one of our nursing staff, your child’s anaesthetist and surgeon. The nursing staff will usually put some local anaesthetic (numbing) cream on the back of your child’s hands and check their temperature, heart rate and weight. The anaesthetist will ask about your child’s health and explain the process for going to sleep and how your child will be kept comfortable after their operation. You can ask them any questions you may have about the anaesthetic. The surgeon will explain the procedure or test and ask you to sign a consent form. They will answer any questions you may have about the procedure itself. We usually arrange for younger children to have their operation before older children on the same operating list. There are 2 waiting rooms with toys and activities available – please do not eat or drink in these areas as it is unfair on children waiting for their operation. Once it is time for your child to have their procedure a member of staff will check their details and bring them to the anaesthetic room. It is usually possible for one parent or carer to come with the child while they go to sleep, and the child can also bring a favourite toy. If your child is having local anaesthetic (not going to sleep) then an adult can usually stay with them throughout the procedure. Younger children may be able to go to sleep in their carer’s lap, older children sit on a bed with their carer sat next to them. There are 2 ways to send your child to sleep and the anaesthetist will explain which is best. Most children can watch a video or play a game on one of our iPads as they go to sleep. If your child is having a cannula (small plastic tube in a vein in the back of their hand) the numbing cream means they should not feel this as it is put in. Medication in the cannula then sends them to sleep and this takes about 20-30 seconds. The other option is anaesthetic gas to breathe which takes slightly longer to go to sleep. Your child will need to breathe through a mask over their nose and mouth – the gas is a bit smelly but not unpleasant. Once your child is asleep we ask you to wait nearby until they are waking up in the recovery area. A nurse will stay with your child until they are fully awake and will bring you round to your child as soon as they can. The nurse will make sure that your child is comfortable and can give medication to treat pain or sickness. Please tell them if you think that your child is sore. If your child is going home on the same day as their operation then the nursing staff will make sure you have any information you need before you leave – please ask if you have any questions or concerns. Your child will need to have a quiet day and we advise that they stay off school for at least 24 hours after a general anaesthetic. What is the best way to keep your child comfortable after their operation? We do everything we can to ensure that your child is comfortable after their operation or test, however some children will experience some discomfort after a procedure. Our recovery and ward nursing staff will monitor this but if you feel that your child is in pain then please tell us. We will make sure that there is pain relieving medicine available to your child after their operation. Once your child is ready to go home we will make sure you have information on how to keep them comfortable at home. We know that children whose discomfort is well controlled at home recover more quickly than those who are in pain. We usually recommend that you give your child Paracetamol and Ibuprofen by mouth once you are back at home. These are good, safe medicines that work best when given regularly. If we have asked you to give them, it is really important that your child receives 4 doses of each medicine every day. The doses we recommend may be bigger than the dose on the medicine bottle but we work this out using your child’s weight so that they are safe. You may have received one of our information sheets to help you keep track of when you have given your child their pain relief medicine. All medical procedures carry some risk. Modern general anaesthetics are very safe and an anaesthetist will stay with your child throughout all of their procedure to ensure that they are safe and well. If you would like to discuss the risks of the procedure with your child’s anaesthetist then please do – occasionally this is better done away from your child, especially if they are anxious. Common risks (these occur to around 1 in 10 to 1 in 100 children) – Sore throat; feeling sick or vomiting; headache or dizziness; changes in behaviour such as being more clingy than usual. The risk of a life-threatening problem occurring in a healthy child having a short procedure under a general anaesthetic is very rare (between 1 in 200 000 to 1 in 400 000) which is far smaller than the risk of a child being killed in a car accident. Click here to go to the Royal College of Anaesthetists website about Risks and Anaesthesia – please note that the information leaflets on this website relate to adults having anaesthesia and therefore may not be relevant to children.